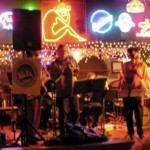 We are Jazz Caravan, a 6-piece band specializing in the best American music, from dixieland to swing, ballads to blues–we celebrate jazz. 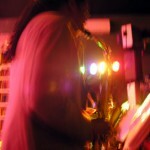 Since 1995, Jazz Caravan has been performing at community and corporate events, festivals, parties, and concerts throughout Maryland and the D.C. metro area. 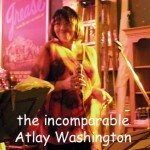 Fronting the band with a warm and joyful presence, Atlay Washington demonstrates an impressive stylistic range and has earned a reputation as one of the classiest vocalists in the region. She has performed widely in the Baltimore area concert circuit and also has worked extensively with gospel groups, including direction of the First and Franklin Street Church Gospel Choir. 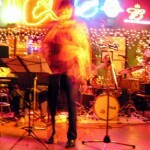 Jazz Caravan’s bassman, David Hughes, is a graduate of Boston’s famous Berklee College of Music, where electric bass was his principal instrument. He has performed with such acclaimed jazz-fusion groups as Cold Fusion and Jazz Happens and rounds out his musical pursuits as a producer and multi-instrumentalist for local and regional talent. After earning her degrees in music from Wellesley and Tufts, pianist Liz Sesler-Beckman toured Europe and Japan, performing with such greats as Tonight Show drummer Ed Shaughnessy, bassist Milt Hinton, and saxophonist Don Menza, among others. She has conducted music clinics at colleges throughout the east coast and has also written music for film. 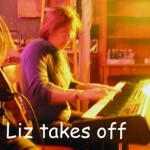 Currently she is on the music faculty of the Ruxton Country School. Featured on both trumpet and flugel horn, Eric Heavner studied at the Peabody Conservatory. 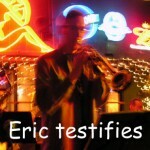 Since graduating from the Jazz Workshop, he has blown his horns with such jazz greats as Webster Young and Julius Hemphill. Percussionist Ron Tanner drummed his way through California and Nevada’s night club and casino circuit for seven years before moving to Baltimore. Backing such bands as The East Bay Express and Indiscreet, he has performed at The Sands, The Sahara, Keystone-Berkeley and other famous venues. Voted Best Bet in Entertainment by the City Paper and the Baltimore Sun. 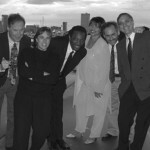 Voted Baltimore’s Best Jazz Band by the Music Monthly’s Readers’ poll.